TransGuard Insurance Company provides insurance to independent contractors and businesses involved in freight, moving and storage. The company does not offer health insurance. The closest form of insurance offered by TransGuard is its Workman’s Compensation coverage. TransGuard Insurance Company, which is currently owned by IAT Reinsurance Company, Ltd. has been in existence since 1973 selling insurance products to individuals in the transportation and storage industry. The company began by being the main insurer for Allied Van Lines. The company is licensed to underwrite insurance policies in 49 states. 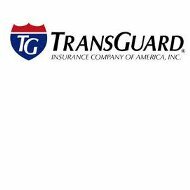 TransGuard Insurance Company also offers insurance policies to independent contractors of the trucking industry. Benefits under this policy include occupational accident, Workman’s Compensation, and non-occupational accident insurance in addition to casualty, property, and liability coverage. The website does not provide any additional details on the policy, but you can call 1-800-237-0062 for additional information. Claims with TransGuard Insurance Company can be filed by calling 1-800-474-2526 or by completing the online claim form. You can also email any claim information or questions to [email protected]. Information regarding claims is available on the company website under the frequently asked section referring to claims. Claims will be reviewed and policyholders will be contacted within two days of filing a claim. All claims are reviewed for fraudulent activity. TransGuard also puts forth extensive effort to recover the loss from the other insurance party when the other policyholder is at fault. TransGuard Insurance Company offers customer service by allowing its policyholders to make payments, policy changes, and handle underwriting issues via the phone. Payments can also be made on the website by logging into your account. Payments are received same day unless made after 7:30 p.m. In that case, the payments are credited the next business day. Frequently asked questions are answered by following the link on the website under customer service. The company answers payment, invoice, and billing questions. The website also provides answers to policy information and policy changes. Should you need additional assistance, you can email the company by following the link on the website or by calling 1-800-323-8560. Independent Contractor policyholders can access their account via the TRANSGUARD Motor Carrier Extranet. However, the site does not clarify what information can be viewed once logged in to the internal site. TransGuard Insurance Company contact information varies depending on your type of coverage. Information on Premier Programs can be received by calling 1-800-252-6725 or by emailing [email protected]. Information for independent contractors can be obtained by phoning 1-800-821-8014 or by emailing [email protected]. TransGuard Insurance Company does not maintain a career section on its website. However, TransGuard Insurance Company does provide information if you wish to become a broker and sell TransGuard Insurance Products. The benefits of selling TransGuard are listed on the company website. Benefits to selling the TransGuard product are the strong financial rating, years of company experience in claims, underwriting, and customer service. Any interested applicants should contact TransGuard’s Marketing Department at 1-800-323-8560, by email at [email protected] or [email protected], or by sending an email directly through the TransGuard website. The Better Business Bureau rates TransGuard Insurance Company an “A+” due to the way it resolves its complaints. There was only one complaint filed in the last three years. The complaint was actually resolved with the help of the Better Business Bureau in July of 2011. The complaint was filed due to problems with the product or service offered by TransGuard Insurance Company. TransGuard is rated A- by A.M. Best.